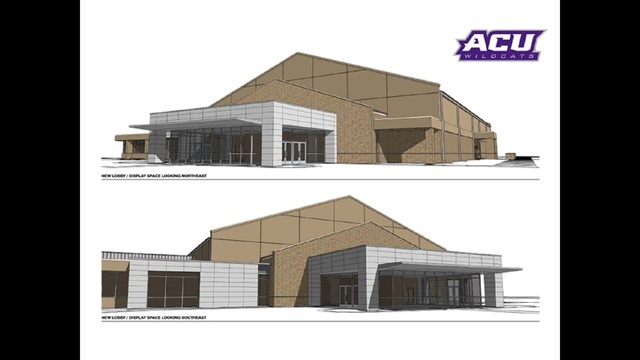 Abilene Christian announced two new projects, both expected to be ready by fall 2018. A new two-story tennis facility will feature locker rooms, office space, players’ lounge area, and a covered balcony overlooking the courts. The Teague Special Events Center, the administrative home of the athletics department, will also receive an exterior renovation. 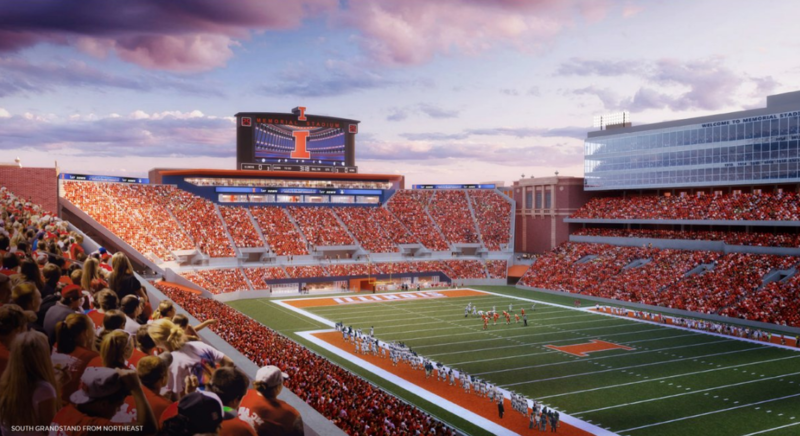 Illinois announced plans for a $132 million renovation to Memorial Stadium. The project includes a new football operations area featuring locker rooms, training and sports medicine facilities, recruiting areas and office space. The east-side stands will feature new restrooms and concession areas, wider aisles and elevators. The project is expected to be completed by 2020. Missouri will spend close to $100 million to renovate Memorial Stadium and build a new indoor practice facility. A new, south end zone facility will house a game-day locker room, weight room, training room and office space. Two new video boards would also be added to the stadium. Phase II is a new 100-yard indoor practice facility built in addition to the current facility. Villanova dedicated the West End Zone Project. The $18 million facility will include locker rooms, offices, meeting space and an academic center. 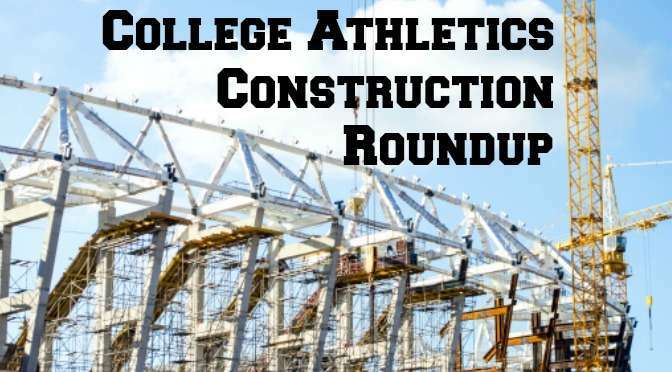 When complete, the facility is expected to benefit all 24 athletic programs. Colorado State began construction on a new football practice facility, located just west of the new football stadium. 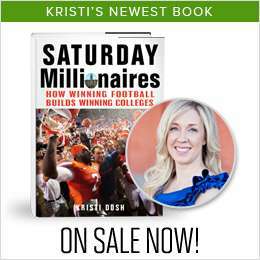 The $3 million facility will include 1 and ½ full football fields with permanent video towers in each end zone. The fields are expected to be complete before the stadium opens in 2017. 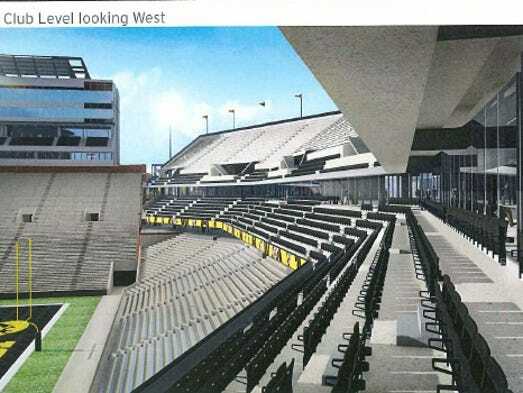 Iowa will spend $90 million to renovate the north end zone of Kinnick Stadium. The project will replace current general-admission area with upper and lower general admission seating bowls and a premium club level. All construction is expected to be complete before 2019. Weber State released renderings of a grand entrance to be built on the north end of Stewart Stadium. The facility will feature a locker room, equipment room, meeting rooms and entertainment spaces. The timeline for construction has not yet been released. Tennessee approved a $106 million renovation to Neyland Stadium. The project includes renovating the south ground and concourse levels and relocating the visitors’ locker room. The project is expected to be complete by August 2019. Purdue approved permanent lights at Ross-Ade Stadium. The $5.6 million project will be complete before the 2017 season. The project keeps the stadium in compliance with the conference’s media rights agreement that all stadiums have permanent lighting. Providence College broke ground on the new Ruane Friar Development Center. The $37 million project will be broken into two phases. Phase I includes a new two-court practice facility for the men’s basketball program, an athletic training center, office space and a dining room. Phase I is expected to be completed in early 2018. Alabama unveiled its renovated basketball locker room. The renovations include new tubs for rehabilitation, a wall listing the programs first-round picks, and over-sized leather chairs. Louisiana-Lafayette will partner with a private golf club to build a new $800,000 golf facility. The 5,000 square-foot facility will feature offices, locker rooms, team areas and practice bays. The new facility will be located adjacent to club’s practice range. Virginia Tech has begun work on a new team facility for the golf programs. The 2,600 square foot facility will be constructed on the ground floor of Cassell Coliseum and will feature office space, locker rooms, a chipping and putting area and simulators. Tennessee will update its track facility in two phases. Phase I will be a redesign of the layout and resurfacing of the track. Phase II will include the new Boyd Family Track and Field Center, featuring a training room, team meeting room and concession stand. Virginia Tech broke ground on an $18 million renovation project to English Field at Union Park. The project includes new club areas, premium seating, new locker rooms and a video scoreboard. Renovations are scheduled to be complete by 2018. Kentucky approved a new $49 million baseball stadium. The new facility will include 2,500 chair-back seats, accommodations of up to 4,000 spectators and temporary seating options to increase capacity to 7,000. Team amenities will include a players’ lounge, new locker room, coaches’ offices, larger hitting facilities and a team video room. The field will be artificial turf. Construction is expected to be complete by fall 2018. Elon held a groundbreaking ceremony for the new Schar Center. The facility will serve as the home for the school’s basketball and volleyball programs. The facility will feature two practice courts (in addition to the competition court), locker rooms, a weight room and multi-purpose hospitality room. The Schar Center will also host university events such as Convocation and concerts. 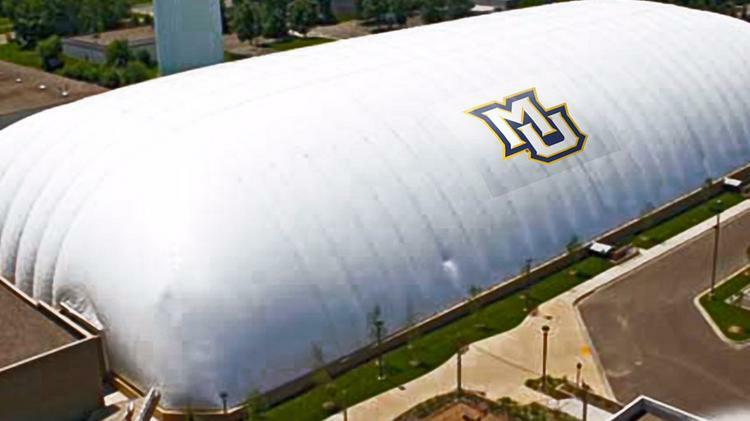 Marquette will spend $3.6 million to construct a seasonal dome over a portion of the Valley Fields complex. The dome will operate for five months annually and will be primarily used by the lacrosse and soccer programs. Wyoming broke ground on the new High Altitude Performance Center. The $44 million facility will include a recruiting lounge, football locker room, weight room, strength and conditioning center, academic center and meeting rooms.